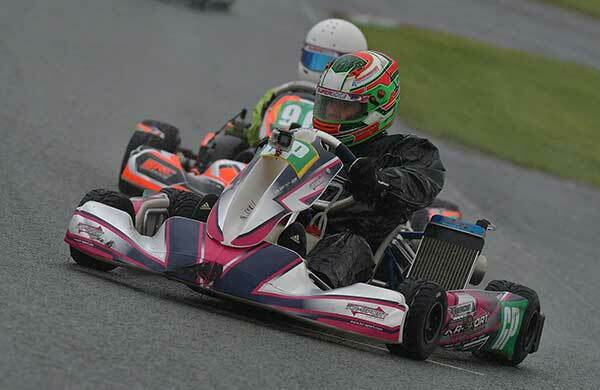 Autumn had well and truly arrived at the penultimate Super One round of 2018 at Glan-Y-Gors in North Wales with showers throughout the racing. The Championships have one last round at PF International in a three-day meeting for all classes at the end of September, where many of the classes will see tense battles for the top positions. 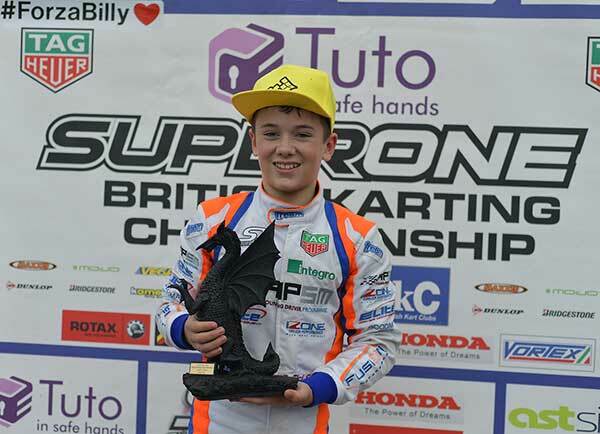 The Bambinos qualified in the wet with Aston Sharp fastest by 0.88s from Frazer Anderson, and the two went on to share the heat wins with Sharp retaining pole for the Prefinal. Sharp and Anderson battled for the Prefinal win throughout the race on the drying track, with Sharp eventually finishing 0.08s ahead of Anderson. By the main Final it was wet again and this time Anderson jumped into the lead at the start and held it to the chequered flag. 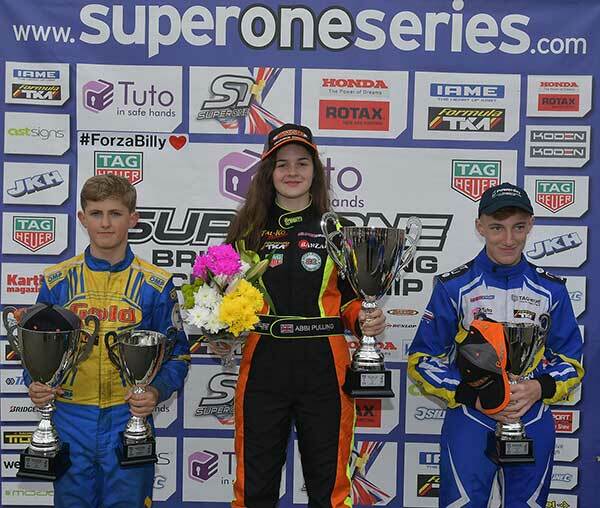 Skye Parker and Ryan McCall battled for 2nd but McCall received a driving penalty which dropped him to the back and gave the final podium position to Oscar O’Sullivan. Aiden Neate took pole ahead of William MacIntyre and Bart Harrison with Championship leader Arvid Lindblad in 4th. Neate retained the lead after the heats with Lindblad up to 2nd, the heat wins going to Neate and Oliver Wright. After starting from a mid-grid position due to a DNF in Heat 1, MacIntyre gained ten places to take the win in Final 1 on a dry track. Neate led until lap 9, with MacIntyre moving up and passing both Freddie Slater and Neate in quick succession with Slater moving into 2nd. Final 2 was wet again and Neate took an overwhelming win over Dodds and Lindblad after Slater took the lead on the last lap and crossed the line first but received a 10s driving penalty. Lindblad remains in the Championship lead by nine points with MacIntyre 2nd on dropped scores and Dodds in 3rd. In the small but tight Mini X field, Cian Shields qualified fastest ahead of Jessica Edgar, but Ivan Lomliev took pole for Final 1 with 1st and 2nd in the heats, ahead of Joshua McLean. 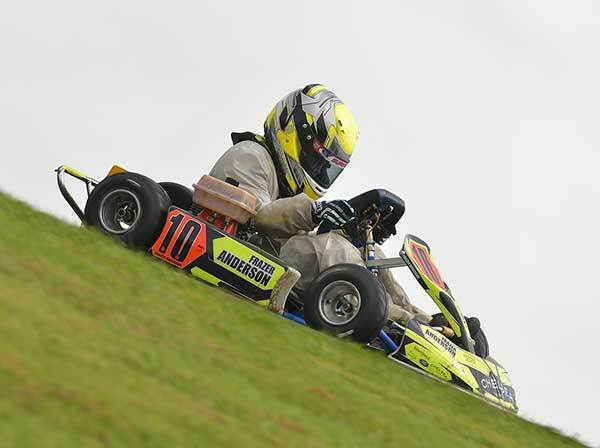 McLean however took the lead a few laps into the wet Final 1 leaving Lomliev to battle Daniel Bolton and Edgar. McLean pulled away without challenge to win by nearly 4 seconds. Lomliev made a great start to take the lead in Final 2 but once more McLean took back the lead and this time Lomliev retired. McLean gradually pulled away from Edgar in 2nd and Shields in 3rd but Edgar and Shields received bumper penalties after the race, handing the runner-up spot to Aaron Walker. 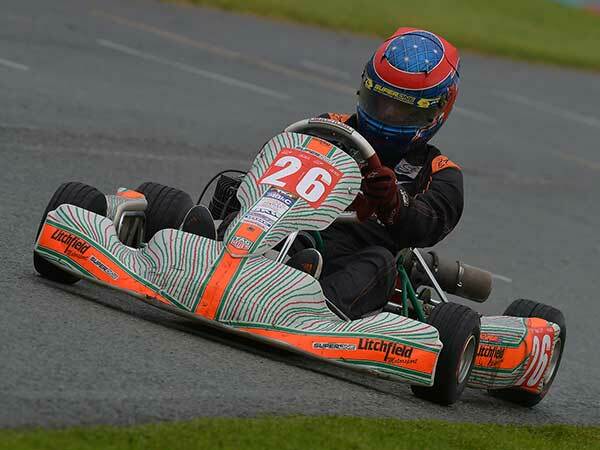 Spencer Stevenson was faster than Abbi Pulling by the thinnest of margins in Junior TKM Qualifying with Louis Harvey also in the same half-tenth, despite the wet conditions. 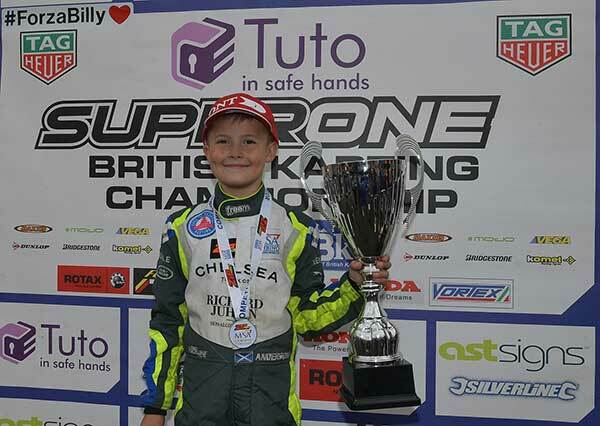 However, Daniel Butterworth took pole with 2nd in both of the two heats after both Pulling and Stevenson had DNFs. They had a dry first Final and Butterworth led from lights to flag, ending up with a massive lead, while Pulling moved up through the field to 2nd. Zak Oates had been 2nd on the grid but was passed early on by Archie Strong who was in turn forced to give way to Pulling five laps from the end. 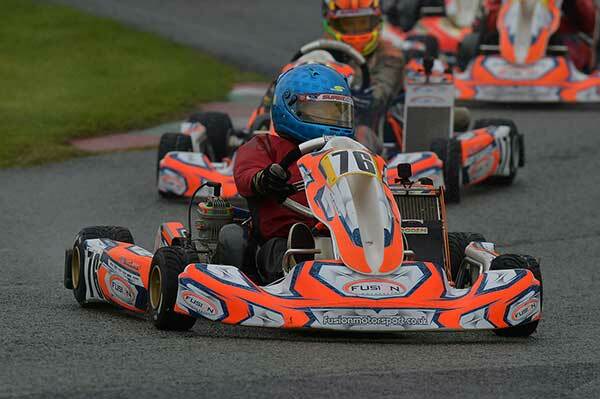 Final 2 was wet again and Butterworth again held the lead from the start while Ethan Newsham overtook Pulling for 2nd. However, she was back in 2nd after five laps and stayed behind Butterworth until the last lap where she took the lead to take the win. With one round left, Pulling is 14 points ahead of Butterworth on dropped scores but Stevenson is now 40 points behind Butterworth. 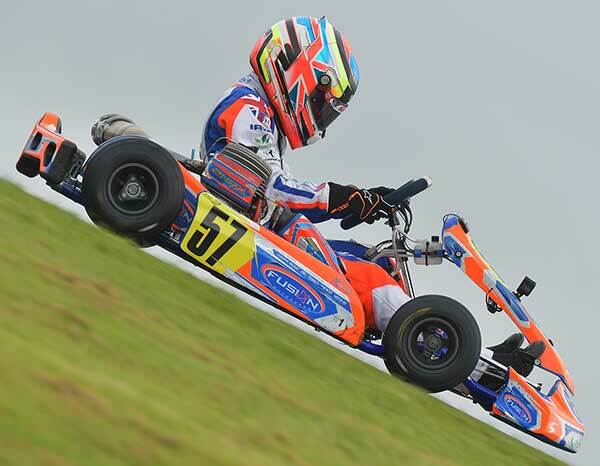 Lewis Gilbert was just 0.02s faster than Alessandro Ceronetti in Qualifying with Matthew Hudson a tenth off pole, but Hudson was the leader after the heats with 2nd and 3rd. Gilbert and Ceronetti took the heat wins but were less successful in their other heats leaving Clayton Ravenscroft on the front row next to Hudson. Ravenscroft made a slightly better start to Final 1 but Hudson was back in control by the end of the first lap where he stayed throughout the wet race, gradually increasing his gap to Ceronetti then Ravenscroft in 2nd. 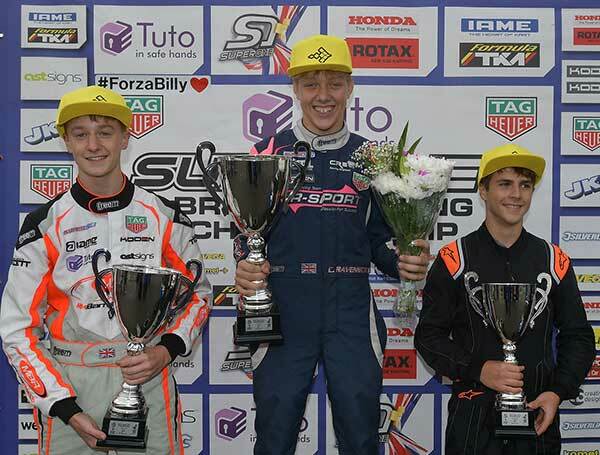 In Final 2 the track was drying and Ravenscroft quickly secured the lead ahead of Hudson and Teddy Pritchard-Williams where they stayed throughout the race, but Pritchard-Williams was penalised for driving standards which promoted Ceronetti to another 3rd. On dropped scores Ravenscroft has a 24 point lead over Gilbert and another gap to Lewis Thompson. 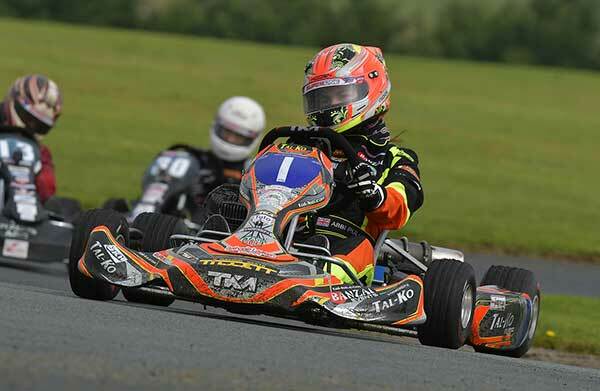 TKM Extreme was the biggest class of the day with 40 entries and Joe Fowler took pole ahead of Kristian Brierley and Jake Campbell-Mills. Fowler retained the lead after the heats but Adam Sparrow moved up to 2nd and Chris Whitton 3rd, while the heat wins went to Fowler, Whitton and Kyle Sproat. Sproat would be one to watch after other problems in the heats gave him a low grid position. 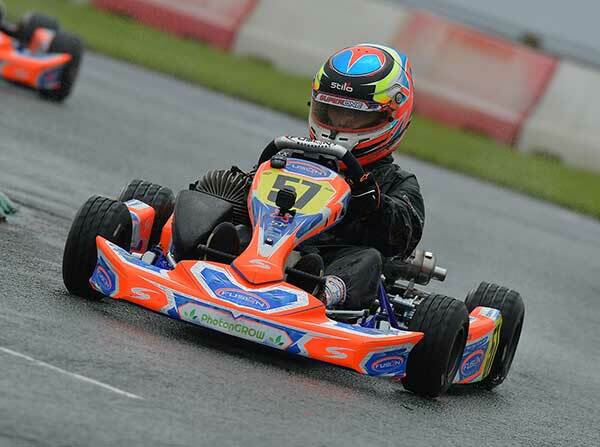 In Final 1, Joe Fowler was unbeatable on the wet track, pulling away from Max Goldsmith who had overcome Theo Hesketh and ending up the winner by over 7 seconds. 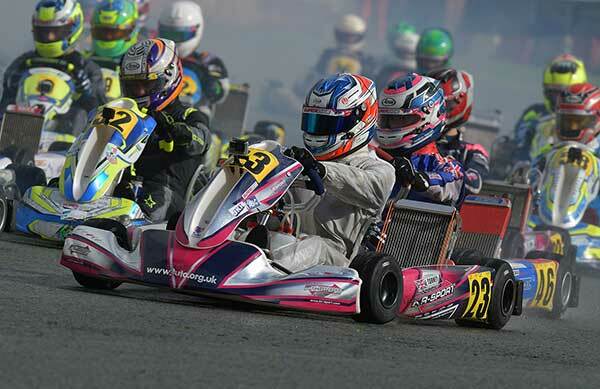 Pete Newman gained 11 places and took 3rd from Hesketh in the closing stages, while Sproat gained 14 places for 5th. Sproat took 2nd at the start of Final 2 and was in the lead a lap later while Fowler, Newman and Hesketh fought for 2nd behind him, joined by Sam Fowler towards the end. Sproat was faster and took the chequered flag with a second’s lead. Reeves-Smith leads the Championship on drops while Joe Fowler moves up to 2nd and Whitton and Welham are on equal points in 3rd, but the gaps are relatively small. Morgan Porter qualified fastest, ahead of Championship leader Joe Turney by a large margin with Sean Butcher 3rd. However, Turney secured pole for Final 1 with 2nd and 3rd in the heats ahead of Butcher and Oliver Hodgson with Porter down in 5th after problems in his first heat. 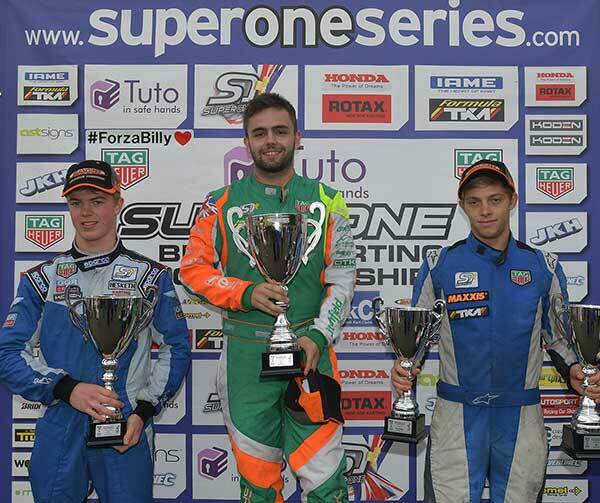 In Final 1 Turney was the early leader of the wet race, before Luke Hughes passed him then a while later so did Porter. Porter continued his trajectory to take the lead in the closing stages, but lost his win with a bumper penalty that dropped him to 4th. Hughes was the winner from Turney, with a bigger gap to Butcher in 3rd. Turney was the clear winner on the drying track of Final 2 after dispatching Hughes after four laps. Porter took 2nd at half distance but didn’t manage to reel Turney in. Turney remains in the lead of the Championship on dropped scores with Hodgson 2nd and Porter 3rd.